For the price of a massage, I can have an organizer and get my desk, office, closet, work space, business organized. Hmmm. What will give me LONG TERM peace? 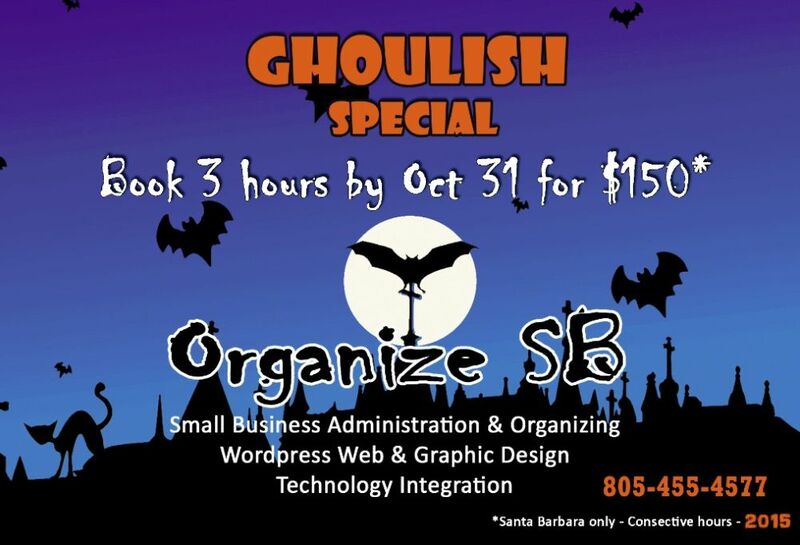 $135 for 3 hours through end of 2013! This brief 6 minute video is about Search Engine Optimization; helping you get found on the web. Organize SB can handle all of your eMedia publishing needs, from building or refreshing your website, to generating graphics, designing your eBooks etc. We work with local Santa Barbara strategic partners such as Taylor Reaume at www.thesearchenginepros.com to get you found on the web. Click here to get 5 quick SEO tips. Take a few minutes and check out this Lynda.com video on SEO. Lynda.com is offering a 7 day trial. Learn something new now! Lynda.com is located in my hometown of Santa Barbara and adds a great dimension to our community. Click below to start your trial.